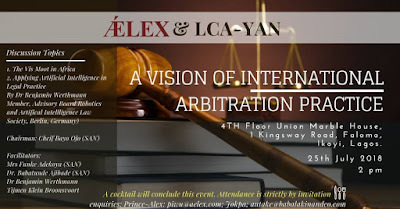 As a prelude to the 2018 Lagos Court of Arbitration, Young Arbitrators Network (LCA_YAN) International Moot Competition , there would be a symposium on the theme “A Vision of International Arbitration Practice” on the 25th of July 2018. 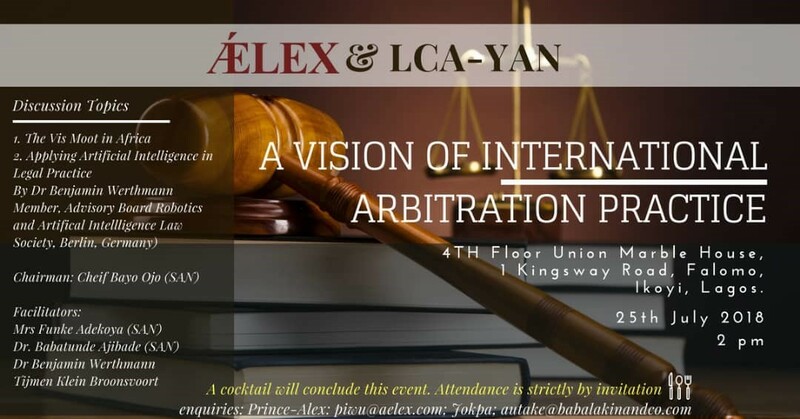 This would mark the start of a 3-day event with the semi-finals and finals of the moot on following days. See Flier for more details.